GoutCure GC Herbal Blend Review – Scam or the Real Deal? One of the challenges with gout is that it can crop up unexpectedly, and immobilise your affected joints for at least 2 or 3 days. Being a chronic condition, you may battle flare ups on an ongoing basis. Today we review Gout Care, a herbal proprietary blend that has been synthesised as a remedy to keep gout at bay for good. 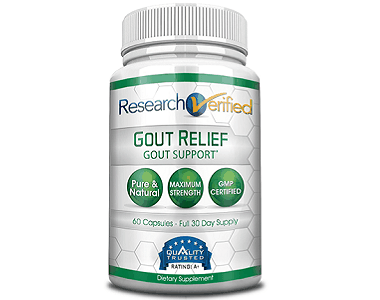 This is the bold claim made by the manufacturer, Gout Care, so today we review the product to check whether these claims can be substantiated. 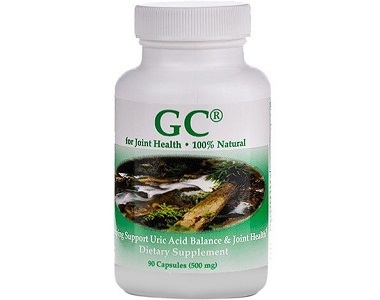 Gout symptoms occur when you have very high uric acid amounts in your blood, and the kidneys cannot flush it out. At this point, the purines – which need to be broken down by the uric acid and are the cause of uric acid spikes in the first place – crystallize. This causes you to feel needle-like sensations in your joints, along with swelling and inflammation. You either need to cease eating purine-filled foods (grains, red meat, etc) or have your uric acid build up eradicated for good and inherently neutralized somehow. 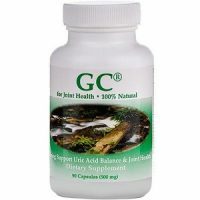 Astonishingly, Gout Care says it’s organic, pharmaceutical grade ingredients stop uric acid build up for good – regardless of what foods you eat. Turmeric – A potent anti-inflammatory, yellow in color and found in spicy dishes. Aged garlic – Fights inflammation and increases the body’s immune response. Milk thistle – Powerful cleansing and detoxifying properties. Yucca – An anti inflammatory which also aids ammonia in passing through stool rather than urine, helping to get rid of uric acid this way. Artichoke powder – Helps liver and digestive functions. How do you use GoutCure? GoutCare recommends three capsules per day – one each in the morning, noon and night. Take four if you are over 175lbs. You can have it with or without food. If you are under attack, try to eat ‘clean’ foods from a gout perspective for at least 5 days. The manufacturer will provide you with information on how to do this should you wish. One 90-capsule bottle costs $22.95 on the product website. You can buy 3-for-$66.00 and 6-for-$126. ‘Repeat’ customers don’t qualify for the money back guarantee and since the trial period is 3 bottles, we recommended not buying more than 3 if you have to. We couldn’t find this product on Amazon, and the price was strangely inconspicuous on the website – it is so small and hidden at the bottom of the product page that you could almost miss it. In our experience, this reeks of a marketing tactic in which you shout your infallible ‘cure’ from the rooftop and make the client purchase without disclosing the price. The ‘100-day, 100% moneyback guarantee’ by Gout Care is a perfect example of why you should always read the terms and conditions fully. The wording starts off full of fire and brimstone as one would expect from a manufacturer alleging less than 1% returns and a total ‘cure’ for your gout or your money back. The 90-capsule bottles, each of which is to be used over 1 month, as meant as a trial over three months. In other words, the manufacturer recommends a 3-month trial (3 bottles). Supposedly, you’ll get your money back if towards the end of this trial, the product isn’t bringing you relief. Then comes the snag: you can only return unopened bottles – this is all you will be refunded for, minus a 20% restocking fee. However, by encouraging you to do a 3-month trial, of course it is highly unlikely you will have any empty bottles or be able to get any refund. This obviously also explains why fewer than 1% of clients don’t file for ‘returns’. The GoutCure website has an old-fashioned design but is cram-packed full of genuinely useful information. According to the manufacturer, there is a 24-hour customer service line and together with the email support line, the manufacturer will answer your gout queries in an effort to ensure your personal gout situation improves. This isn’t a one-ingredients product and the emphasis on liver and kidney function, long-term cleansing and anti uric acid build up makes sense. Yes, it should prove to be a good combatant for gout – provided you use it non-stop. So, can you have your steak and eat it with your gout ‘cured’ for good as GoutCare asserts? We know of no known absolute cure for gout that allows you to relinquish diet control, pop a pill and never suffer an attack ever again. Where is the independent verification of this assertion? The clinical trials concluding this? None is provided. Another red flag is the convoluted returns policy which, it seems, is not much of a money back guarantee in reality (please read our Is There a Guarantee? Section in full). These inclinations towards being slightly grey with a truth are red flags to us. We like to get behind transparent manufacturers whose supplements do what they say but this doesn’t seem to be the case here.